Timothy “Livewire” Shief is no stranger to impressive displays of physicality. 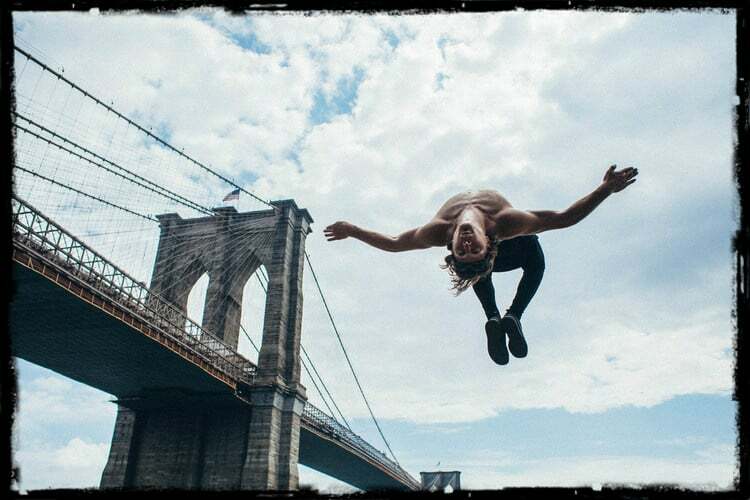 If you missed my first interview with him, you can check it out later to hear how he became a parkour and free running world champion and vegan activist. But today he’s giving us an insider’s look into qualifying for and excelling at the unique challenge of American Ninja Warrior. 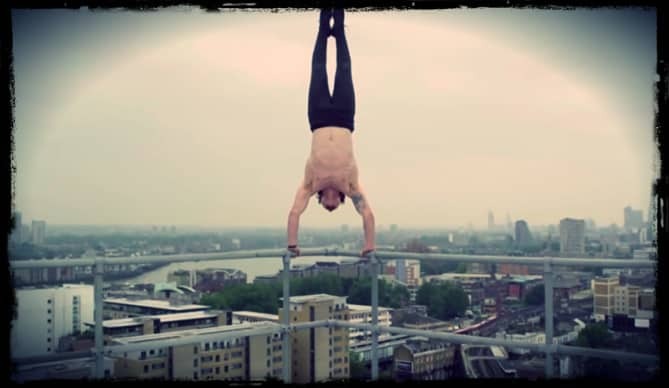 Now let’s here from Tim about being an American Ninja Warrior, vegan-style. “They called me ‘last man standing’. And that was a really fun experience it's a whole new thing. I don't put all my eggs in one basket with my training and I did my first marathon the week after Ninja Warrior and then I ran my first 100 kilometer race a month after but it's just fun to have all these different aspects and without this lifestyle, without the vegan diet. … [A]nd I think the biggest key to its anti-inflammatory [effects] because I train so much at the moment if I was to train this frequently and eat meat and food that’s hard to digest. “[W]hen you're not a vegan, I remember how I was before, you don’t really think that’s a factor. You just think oh… it's genetics or training or something and for me it certainly is a factor. I like to speak to them [other Ninja Warriors] about it, I mean it's called Ninja Warrior. For me, the real warriors of the planet are the ones that are defending the innocent, [tweet this] that see the injustice when other people don’t and we try to help bring the masses to understand that problem that keeps perpetuating. So I speak to them and say “Look we're basically warriors. Why are we killing little chickens? They don’t deserve it. Why are we supporting the death of baby chicks for your omelet like you don't need to do this?” and some of them listen and they may understand. I hope you enjoyed hearing from Tim on the behind-the scenes of American Ninja Warrior. Stay tuned to the series for more with him and the vegan athlete series as a whole. You can find links to Tim’s YouTube channel, website and other social media below to keep up with this impressive antics. This video was sponsored in part by Cronometer where you can track your fitness and nutrition to ensure ninja-level performance! Use the link in the description or up there to make your own free profile. I’d love to hear your thoughts on Tim’s experience. Are you a Ninja hopeful yourself? Let me know in the comments! If you enjoyed this ninja nugget, and share it around to show what vegans can do. If you’re new here, do hit that big red subscribe button on the right hand side of the screen there for more awesome vegan content every Monday, Wednesday, and some Fridays. If you want to help support Bite Size Vegan, check out the Nugget Army icon below. Now go live vegan, find your inner ninja, and I’ll see you soon. Wow, Tim Shieff is wonderful. His interview should be shown to all those people who say a vegan diet is not healthy. Vegan ultraskater, maybe I’ll be a ninja warrior someday, great video!